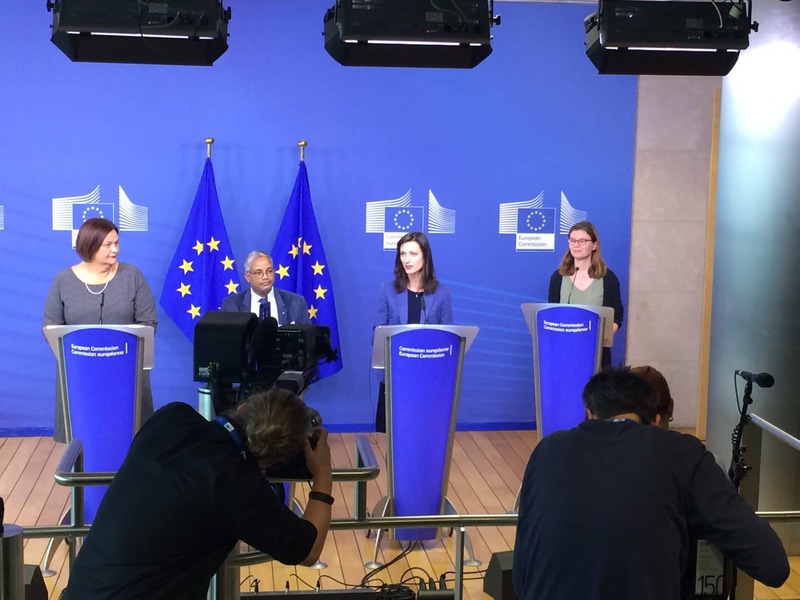 18 October, Brussels – The Working Group officially handed over the Code of Practice on Disinformation to Commissioner Mariya Gabriel on 16 October 2018. This is the first time that industry, comprising both platforms and the ad industry, came together to commit to contributing to reducing the exposure of citizens to fake news. EACA, alongside, for example, Google and Facebook, was part of the Working Group and is signatory of the Code. In signing up to the Code, EACA commits to raising awareness among its membership of the Code and encouraging them to commit, for example, to increase scrutiny around ad placements and transparency on why users are seeing certain ads. The hand-over concludes a period of six months during which the Working Group met more than 30 times to draft the Code, consulting with their headquarters and membership and receiving feedback from the European Commission and the Sounding Board. The Code is now open to additional signatories. The European Commission will continue monitoring progress on signatories’ commitments and will come up with an action report in December 2018.